At the front of the march was the Labour Party banner. Some Labour Party members carried placards which read 'we are on your side' and local MP Jeremy Corbyn spoke at the rally. 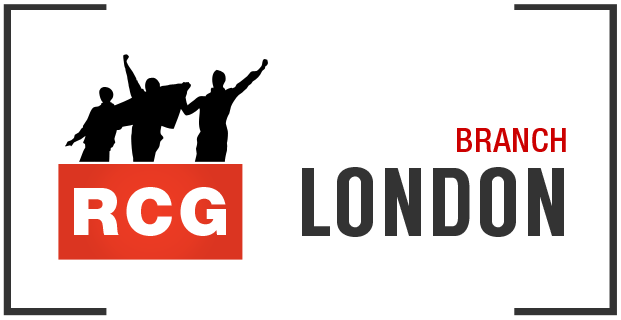 The Labour government is driving forward the London NHS reconfiguration changes which will mean a half to two thirds of London District General Hospitals (DGHs) will be closed or downgraded. 6 acute commissioning sectors are instructing Primary Care Trusts how to reconfigure services. Less-complex non-emergency procedures are being taken out of DGHs into polyclinics, elective treatment centres and urgent care centres, all of which are being handed over to big business. Again and again we have to ask, what will it take for people to leave the Labour Party? Wars abroad, repressive legislation at home, locking up adults and children in detention centres, privatisation of the NHS. The list goes on. It is clear from the march however that people understand the urgency and importance of the fight to defend the NHS. The solution is not in the main political parties. Shutting the A&E at the local hospital is just not an option and the fight is on. 20 years ago people got together to say no to the Poll Tax and they won. Now again is the time for us all to be part of the fight to defend the NHS against Labour’s privatisation plans.